In earlier times when there were no drawing tablets or graphics tablets, artists used to draw an art with a piece of paper and a brush. They had to keep a variety of brushes with different thickness to show off their drawing skills. If something goes wrong with the art there wasn’t any solution for erasing it and hence, artists were facing hard times with painting. However, things were made simpler after the launch of software like Adobe Illustrator, Photoshop and Autodesk Sketchbook on computers. Most of the artists then switched to digital painting as these software were offering tons of useful tools including some advanced features which revolutionized the way of composing an art. Still, mouse and keyboard inputs failed to deliver accuracy. To resolve this complication, Wacom came up with a tool which could replicate hand-drawn art on the computer screen, technically known as Graphics Tablet. The Wacom Intuos Pro & Intuos Draw are popular examples of it as they are considered as best drawing tablets in the market. Well, if you’re a digital artist and planning to buy the best drawing tablet, then pressure sensitivity, size and accuracy are the key specifications to look for and it’s probably not an easy task to figure out what fits in your requirements. So, how to choose the right graphics tablet for drawing? And, what are the best drawing tablets available to buy in the market? Let’s find them out. 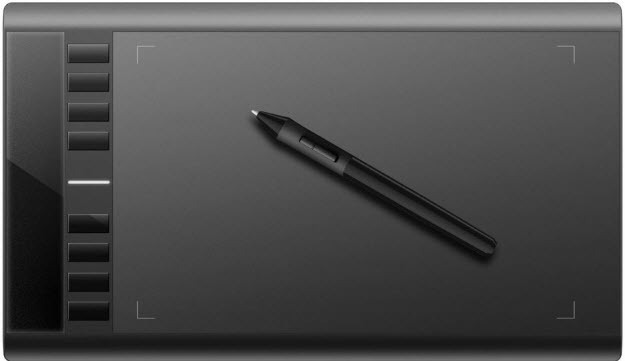 How to Choose a Right Graphics Tablet For Drawing? Most of the graphics tablets work as a connected device, means you will need a separate monitor. While some high-end graphics tablets even include a display, means you can draw your art on the same surface where it appears. Generally, these high-end graphics tablets fall into the expensive category and are mostly used by professionals. Refer this guide to buy the best graphics tablet / drawing tablet with screen. Below are the features you should consider while buying a graphics tablet for drawing. • Size – While buying a graphics tablet for drawing, the size makes a big difference. The greater surface area will give you plenty of space to draw, and they often come with higher input qualities and more shortcut keys, hence efficient working. • Pressure Sensitivity – Graphic tablets capture the motion of your pen as well as your pressure information. Many of these tablets come with pressure sensitivity which tracks the amount of pressure, meaning when you apply pressure on the pen while drawing, it will render a thicker line. Note that the tablets with 2048 pressure levels capture more information than those with 1024 pressure levels. On a simple note, the more pressure sensitivity will give you more variety in thickness of line. • Controls – Many graphics tablets come with functional keys which can be programmed according to your needs. Some models include keys around the drawing area while some models include keys on the pen. Functional keys on pen can save your time, allowing you to reach shortcuts and your favorite settings directly without navigating on the tablet. Now let’s have a look at some of the best tablets which are handpicked by our team of tablet professionals to reduce your effort in buying the best graphics tablets for drawing. We will have a look at graphics tablets in all budget constraints, from $25 low-end tablets to high-configured $400 tablets, because not everyone would be able to afford those expensive graphics tablets, especially beginners. So, let’s start with the list. Right since their inception, tablets have been very handy and useful as a pocket graphic handler. Starting the very basic text taking a tablet to the currently available feature-loaded tablets, these devices have become a necessity for most of the graphic-engaged users. Standing up to the similar maxim, the Wacom Intuos sports three variants with a difference in their screen size. The tablet comes with a pressure sensitivity, which can vary 8192 levels of pen pressure sensitivity. The tablet also comes with a bunch of gestures which can be customizable based on the user. This powerful duo of pressure sensitivity and gesture support makes it stand out from the crowd and makes it a completely potential tablet for graphics. Moreover, the tablet comes with a customizable ExpressKeys and Touch Ring technology which gives you quick access to all your favorite software shortcuts. Whatever the graphics usage be including drawing, sketching, painting, or photoshopping, the Wacom takes it all with ease. It also helps in streamlining your graphics work as the Wacom creative pen tablets and pen displays are meant to provide a more natural and intuitive creative experience, allowing the user to create and collaborate the work faster. All these aforementioned aspects make this certainly the best drawing tablet in our list and across all the tablet’s portfolio. Huion is a powerful graphics tablet which is not so high on a budget. The tablet comes with ultra-narrow borders to allow extra workspace for other devices such as the keyboard. 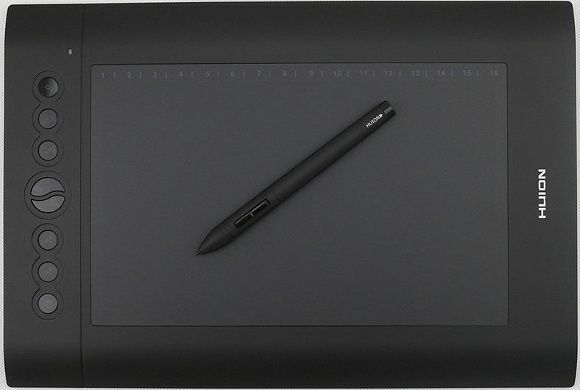 It sports 11-inch drawing area and a separated panel for gestures and 8 customizable shortcut keys for your artwork. The pressure sensitivity of 8192 levels enables you to draw a variety of lines depending on the amount pressure you apply. More the pressure sensitivity will be, better the accuracy you will get. The Huion Inspiroy Q11K drawing tablet is compatible with Windows 7 and above in Windows OS and also comes with Mac OS compatibility, making it easy to use and work with. 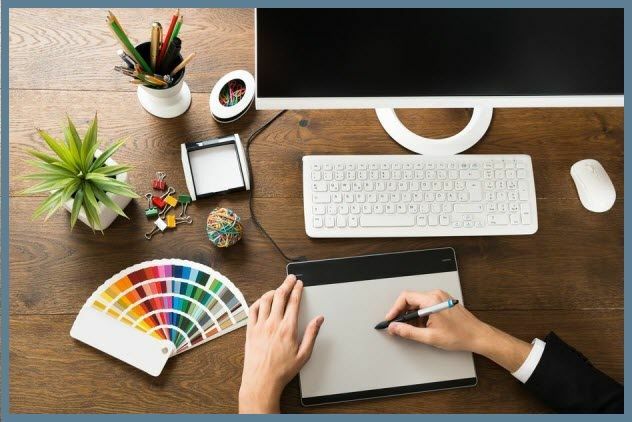 In terms of connectivity, it comes with 2.4GHz wireless network support, which not only makes it seamless in drawing, painting, and sketching but also makes it easy to pair with other devices through a network. As far as the battery backup on this drawing tablet is concerned about, it comes with a 2500mAh battery, which the company claims to provide over 40 hours of continuous usage to draw with. Overall, the Huion Inspiroy Q11K is one of the best drawing tablets with 8192 pressure sensitivity to buy in 2019. The Wacom Intuos is a great entry-level drawing tablet which is very spacious and makes it very easy for both single and double hand usage. However, the build of this tablet is the greatest when compared with its rivals. The Wacom Intuos Creative Pen and Touch series, the tablet itself is very simple and easy to use. It provides you with all the essentials one would expect from a drawing tablet and provides you with an easy way to start getting more artistic and creative with your digital inputs. The Wacom Intuos graphics tablet is battery-free and works only when you connect it to a computer or a laptop. It is pressure sensitive and comes with 4096 levels of pressure sensitivity to make it easy variating thicker and thinner drawing. The pad comes with multi-touch gesture support, which is customizable making it even more user-friendly at usage. The tablet weighs 8.16 ounces and evidently, is so easy to carry around. It offers an active work area of 6.0″ x 3.7″ and can be used by both right and left-handed users. All in all, the Wacom Intuos is one of the best drawing tablets of all time, offering a good set of specifications at an affordable price of $80. Well, if you’re just starting with digital painting and looking for a drawing tablet to hone your drawing skills, then the XP-Pen Deco 01 is probably the best in the segment in terms of features and pressure sensitivity. Yes, the XP-Pen Deco 01 can detect pressure sensitivity up to 8192 levels which is indeed a very good feature for users to draw varying width of lines and enhance their creativity. Moreover, the active area of 10 x 6.25 inch offer enough space to draw on which lights up at night so that you can draw conveniently even in dark conditions. The Deco 01’s thickness is only 8 mm which also doesn’t weigh much making it easy for you to throw it in your backpack. The XP-Pen Deco 01 is designed with both right and left-hand users in mind, there are basically 8 express keys on the left which help you maximize your workflow and delivering the most ergonomic and convenient platform to draw on in its segment. The pen that comes with the package is battery-free so you don’t need to charge it as there is no way of running out of battery. However, the tablet needs to be connected to your PC or laptop via USB Type-C cable. Moreover, the quick toggle button onboard lets you switch between pen and eraser instantly. 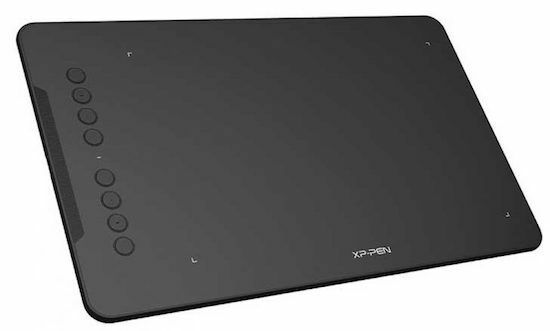 Overall, the XP-Pen Deco 01 is one of the best value for money drawing tablets offering a package of features at an extremely affordable price of $60 which even slightly expensive Wacom Intuos misses out. Ugee M708 is a pretty pocket-friendly graphics-stationed tablet which is though priced half as less as its rivals but as powerful. The tablet comes with a 10 x 6-inch drawing area and sports a 5080 LPI resolution. The tablet has a very impressive report rate and can register about 230 reports per second. This drawing pad comes with 8 user-defined shortcuts, using which the user can set their custom shortcuts as per the convenience and requirement. Similar to the other expensive rivals in the list the Ugee M708 comes with 2048 levels of pressure sensitivity pen, which gives the feel of drawing on a paper. This tablet supports the wide range of operating systems and supports all Windows OS and Mac OS X 10.6 and above. Ugee has decent collaborations with various companies and therefore, it can be used with Photoshop, Photoshop CC, Illustrator, Lightroom, Corel Painter, Autodesk MAYA, Pixologic ZBrush, and much more. All in all, this is a perfect pick if you’re tight on budget and looking for a feature-packed graphics tablet for drawing and designing. At first glance, the Turcom TS-6610 looks very similar to the Huion H6010 Pro in design. The build quality of Turcom TS-6610 is very solid and feels light in weight which makes it easy to carry around in a backpack. Featuring 8 onboard hot-keys, the Turcom TS-6610 enables its users to access their favorite tools and shortcuts straight away from the front to maximize their workflow. The large active area of 10 inches x 6.25 inches provides enough room to show off creativity with utmost comfort which many users prefer first while buying the best drawing tablet for themselves. The Digital Pen that comes within the package features 2048 levels of pressure sensitivity which lets you create variations in line width and opacity and as far as accuracy is concerned, the Turcom TS-6610 features 220 Report Rate Speed which is very accurate and lag-free in action. In case if you’re concerned about its compatibility, then we would like to let you know that this tablet by Turcom is compatible with all the major software by Adobe, Corel, Autodesk across Windows and Mac platforms. 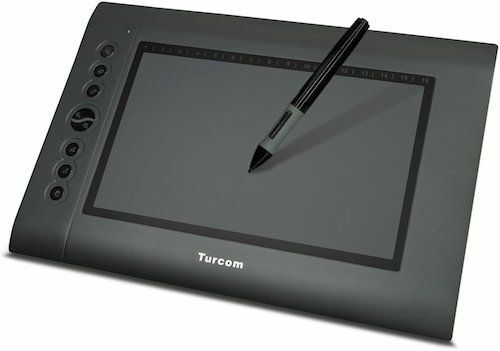 Priced at $50, the Turcom TS-6610 is the best drawing tablet for beginners considering its features, build quality and price. The Huion 420 is a compact drawing tablet. It sports an active draw area of 4 x 2.23 Inches. Now don’t get puzzled looking at the small size of the display, the tablet is an ideal replacement for your mouse in drawing and even in gaming. It has 2048 pressure sensitivity levels and also equips an additional area for advanced usage. The small and compact Huion 420 perfectly fits into any laptop case or in your business suitcase making it very easy and ergonomic to carry around. Though small in size, the Huion 420 is nowhere less than its competitors in the specifications. The Huion 420 graphics tablet boasts a resolution of 4000 LPI and comes with a decent response rate of 200 reports per second. 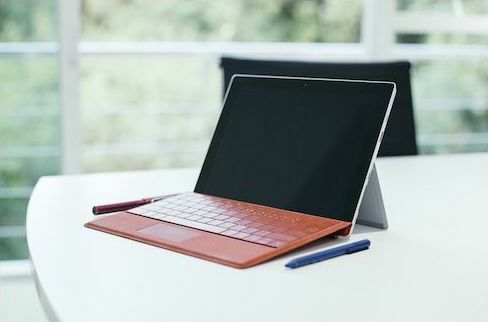 The tablet can be used by both right and left-hand users and is compatible with both Windows and Mac OS X. The tablet is pretty light and weighs just around 14 ounces. Under the hood, this drawing tablet is supported by an electromagnetic digitizer to take inputs from the user and display on the connected device. 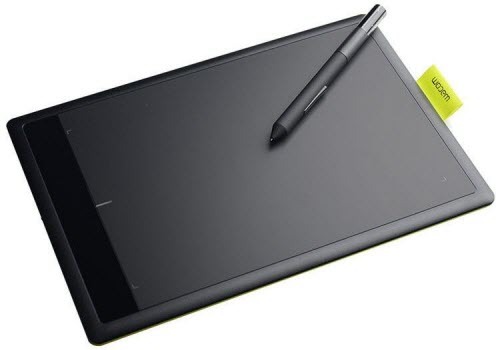 It is priced at around $25 making it one of the cheapest and best drawing tablets for beginners. Huion H610 Pro is lightweight light on the budget tablet which is high on features. The tablet has a 10 x 6.25-inch active drawing area which is bolstered by 16 hotkeys beneath the screen. It also has 8 express physical keys down the side, aiding for varied functionalities keeping the usage even more sophisticated and simple at the same time. It sports a resolution of 5080 lines per inch, which is good, if not great. This tablet is also battery-free like few of its rivals in the segment and comes with 8192 levels of pressure sensitivity. The pen which comes along the Huion H610 Pro is rechargeable and the company claims that the pen lasts for over 800 hours of continuous usage for every 2-hour charge. 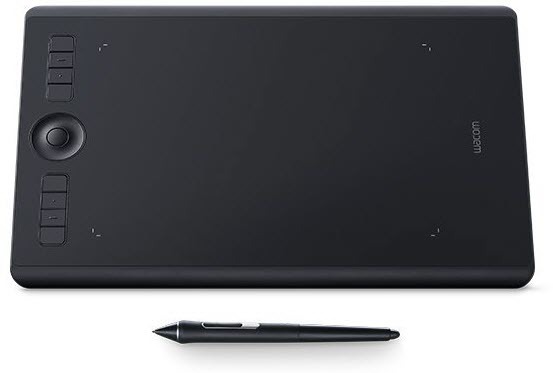 This tablet for drawing is compatible with all the Windows and Mac OS X and supports most of the graphics stationed applications such as Adobe Photoshop, Illustrator, Corel Painter, Autodesk Sketchbook, Manga Studio, Clip Studio, Zbrush, and more. The tablet has a decent report rate of 233 Reports Per Second. The tablet weighs just over 2.85 pounds and is ideal for its dimensions. The Huion 680s is probably the smallest and most portable tablet in our list of best drawing tablets. It is specifically designed and optimized for beginners who are looking for not so fancy drawing tablet at an affordable price. Talking about its features, the Huion 680s comes with 2048 levels of pressure sensitivity which enables us to render lines of varying width and opacity. The Huion Pen that comes within the package runs on AAA battery which can easily deliver upto 40 hours of usage and that is good for a $40 tablet. 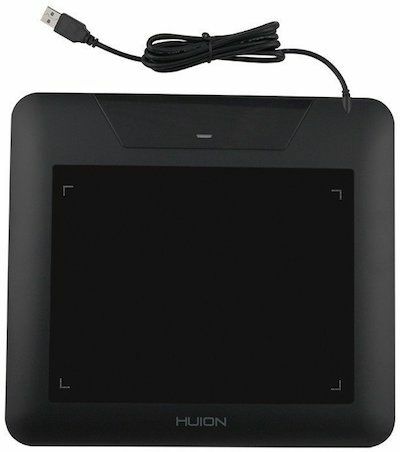 As far as connectivity is concerned, this drawing tablet by Huion only connects via USB cable which comes included in the package. Its compatibility with Mac and Windows platforms makes this one of the best drawing tablets for beginners for digital painting, photo-editing and signing E-documents. Wacom Bamboo is a lighter variant of the aforementioned Intuos Pro drawing tablet. The tablet is available for budget price of around $80. The tablet comes with great built quality for a tablet this price and offers very good ergonomics, making it really easy to carry around and work with. Bamboo CTL471 comes with a comparatively small 5.8 x 3.6-inch active work area to draw. Speaking about other specifications of this tablet, it offers 1024 Pressure Levels and sports a resolution of 2540 LPI. The tablet is compatible with both Windows and Mac OS X. The package includes a bamboo pen and packs in 3 spare pen nibs for varied drawing thickness. 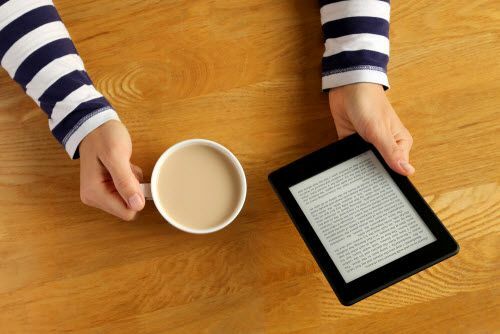 The tablet is reversible and can be ideally used by both right and left-hand users. These were our expert’s most recommended graphics tablets for drawing. We tested all of them and found all the pros and cons to point it out in this buying guide so that you can make a right decision in buying the best drawing tablet for yourself. As we said earlier, the Wacom Intuos Pro is our most recommended drawing tablet as it has 8192 levels of pressure sensitivity and many more professional level of features. For those who are looking to settle down at an affordable price, we would recommend buying the Huion Inspiroy Q11K which also features 8192 levels of pressure sensitivity. 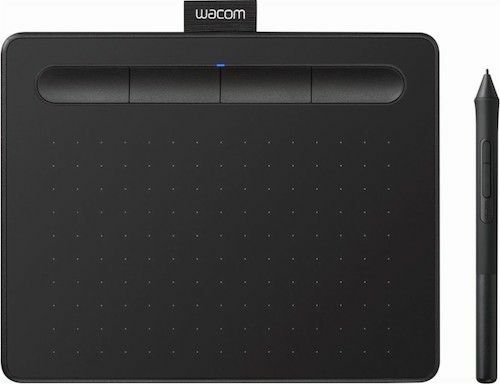 Another option is the best selling Wacom Intuos Draw which is one of the best drawing tablets under $100 price range for beginners as well as pros. Great article, used it to aid in my buying decision this Christmas. Sadly the WACOM website was absolutely crushed on Christmas day and the drivers along with the registration mandated software are unavailable. Makes me wonder if the tablet is worth keeping since they can’t seem to get web design and architecture done right. It sure destroyed the hopes of the recip9ient, left a decidedly bad impression on day one. I’ve never bought a drawing tablet before, however have always been into digital art, my budget is tight, as I’m only 16 years old, but can be flexible so probably anything under 100 would be great. I would recommend the Wacom Intuos Draw to anyone who is just starting with digital art. It’s an entry-level $80 drawing tablet which has got all the necessary features that you would need at the beginning. Go with it! You mean iOS by MacOS, right? You can get iPad Pro 10.5 or iPad 2017 Model. As you mentioned you need it for writing, you can connect Apple Smart keyboard or any third-party keyboard for writing. For drawing, you can get the Apple Pencil to draw directly on the screen which also has the ability to detect pressure sensitivity. Moreover, there are a number of apps available on App Store which can help you to make your presentation even more effective. Hi Mike, thanks for your reply. I mean macOS running on macbook. I have the requirements to do presentation online like webinar. As I speak, I may need to draw on some kind of virtual whiteboard where my audience can see them. Would there be any way to confirm which of the tablets you recommend are still compatible with Mac OS 10.6? Thanks! You are running on a quite old version of Mac OS now. However, we have two tablets on our list which are compatible with Mac OS 10.6 and above. The one is Ugee M708 and another one is Wacom Bamboo CTL471. Both will work with your version of Mac OS seamlessly. For starters who are looking for a drawing tablet to hone their skills, I would recommend buying the XP-Pen Deco 01 which is probably the best budget drawing tablet in terms of features and pressure sensitivity. You just need to connect it with your PC or laptop and you’re good to go. Very useful article. Beginner in graphic tablets. I saw your earlier recommendation of the Wacom intuos Draw for beginners so, I’ll go with that. Thanks! I have a question does number 8 require internet. I’m a 12 year old im a beginner for a draw tablet. I’m getting one but in concerned if it needs Internet. 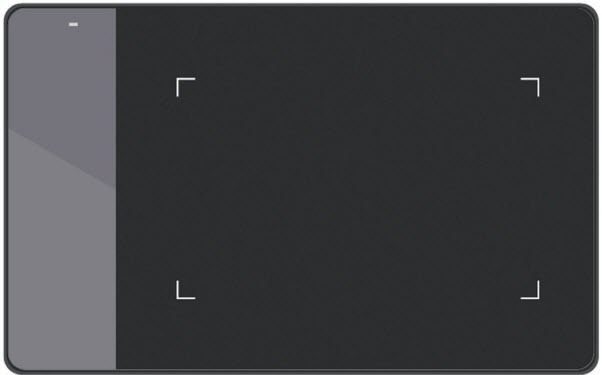 The number 8 (Huion H610 PRO) doesn’t require internet to be operated. However, do note that you might need to connect your Laptop/PC to the Internet just once for initial setup or maybe for installing drivers. Hey! This is a nice and pretty helpful article. I have been in art but in the basic canvas and paper forms, I’d like to indulge in the digital art thing to make illustrations, cartoons and comics basically. I’m a beginner with the budget under 100$. Which one will you recommend? For beginners who are just stepping into the digital form of art, I would recommend buying the Wacom Intuos CTL4100 which is probably the best overall package for beginners for the price of under $100. It comes with 4096 levels of pressure sensitivity which is probably 2X than the previous generation. Remember, the more pressure sensitivity you will have the more accuracy and precision you will get for drawing. Basically, there are 2 variants of Wacom Intuos (Small) which fall under $100 category. The Wireless one ($99) and the non-wireless one ($78), you can pick any one of them according to your needs. However, I would recommend buying the wireless variant, because I don’t like cables on my desk. Moreover, the Wacom Pen is battery-free and wireless across all variants which is surely a good thing. 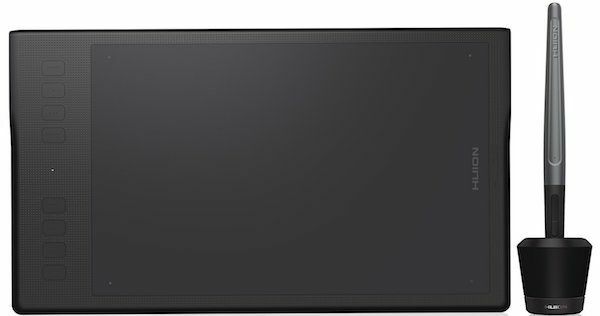 Hey Mike, would you recommend the wacom bamboo create (CTH-670)? I’m fairly new to graphics tablets but I want a tablet that isn’t too pricy but still decent. I prefer the pen to have an eraser, and I intend to use it to create an original logo initially but would like to also like casually draw with it. Get the Wacom Intuos CTL6100WLK0 instead.